“When dictatorship is a fact, revolution becomes a right.” – Victor Hugo. By many accounts, the atmosphere in Male’ is both festive and fearful right now. And so it would be. Today, supporters of democracy in the Maldives and those who want to prolong the increasingly autocratic regime of Abdulla Yameen Abdul Gayoom are going head to head. Both sides are ready to give it their all, whatever happens, whatever it takes. There is little doubt that the country is heavily divided. On the side of democracy supporters are at least 48% of the electorate who voted for Mohamed Nasheed in the 2013 election stolen by Yameen Abdul Gayoom through the Supreme Court. Added to this are a majority of the 23% who in 2013 voted for Qasim Ibrahim, the tourism tycoon who helped fund Yameen’s win and is now being persecuted by him. Also among the democracy supporters are those aligned with the religious Adhaalath Party who voted either for Qasim Ibrahim or Yameen. One of their leading figures, Sheikh Imran Abdullah, so zealously effective against Nasheed in the 2013 presidential campaign, is also now campaigning against this government. All in all, Yameen–and the autocratic values that he represents–has the support of less than 25% of the electorate, if that. A conservative estimate would, therefore, put the percentage of the Maldivian electorate against the government at around 65%. A higher figure is likely to be more accurate. A large share of these people will be out on the streets of the capital Male’ today for what is likely to be the biggest demonstration in the history of the country. People have come on boatloads from across the 1200 island archipelago. ‘We have travelled on different ships, but we are now all on the same boat’, observed one such protester on social media. They will all be congregating in Male’ at 3:45 in the afternoon, under the hot tropical sun. They want to rise up against the government that has refused to listen to any of their multitude of woes and worries: murders that have not been solved; abductions that have not been investigated; corruption that has been encouraged; islands that have been sold to shady businesses; lagoons that have been signed away for centuries; atolls handed to foreign governments for unknown purposes; medical care that has been negligent; basic services that have been inadequate; streets that have become too dangerous to walk; children who have not been protected; living that has become too expensive to afford; freedoms that have been severely curtailed; promises that have been unfulfilled; and lives that have become too joyless and filled with fear to enjoy. They want a government that would listen; a government of the people, for the people. And they are ready, in their tens of thousands, to come out on the street and demand all this, all theirs by right. ‘I do not want to rule with force,’ President Abdulla Yameen Abdul Gayoom has said. But short of using his own fists, he has done nothing but. All three powers of the State are entirely in his hand, though he continues to insist they are not. Some of the claims are laughable, such as his insistence that the judiciary is independent from his influence. The entire world has seen and said otherwise after the courts prosecuted and jailed opposition leader Mohamed Nasheed in the manner it did. With Yameen’s Progressive Party of Maldives (PPM) holding an absolute majority, the parliament is his toy, too. As is the Prosecutor Generals’ Office, almost all independent commissions, and also the country’s armed forces. With clear evidence of the partiality of these institutions laid bare on a daily basis, Yameen’s claims of not exercising undue influence makes him frequently look like Iraq’s Comical Ali: Maldives’ own Comical Abdulla. The government has been preparing for the protest by banning civil servants from attending the rally, by firing pro-democracy staff in government-run institutions, and by producing and repeating the narrative that to protest is to destroy the country’s peace–as if there can be peace when a majority of the people are refusing to be ruled against their will. None of it is working. Desperate, it has wheeled out religious clerics to say it is against Islam to rise up against an elected leader. Sadly for the government, a majority of Maldivian clerics–having helped instigate the February 2012 coup which brought down the country’s first democratically elected–government, has little credibility left in this department. In the meantime, Yameen’s right hand man, the financially rich but morally bankrupt Tourism Minister Ahmed Adeeb, has tried to heat things up further, challenging the protesters to ‘bring it on!’ He has said the government is ready to take on anyone that disagrees with it. There is fear, as well as compelling room for conviction, among democracy supporters that Adeeb–’bro’ to hundreds of gangsters–would not hesitate to bring the ‘boys’ out on the streets today. The plan would be, as has been executed many times before, to get his thugs to pretend they are part of the protest, and commit acts of violence in response to which the SO can unleash their own violence against the peaceful thousands marching for their rights. 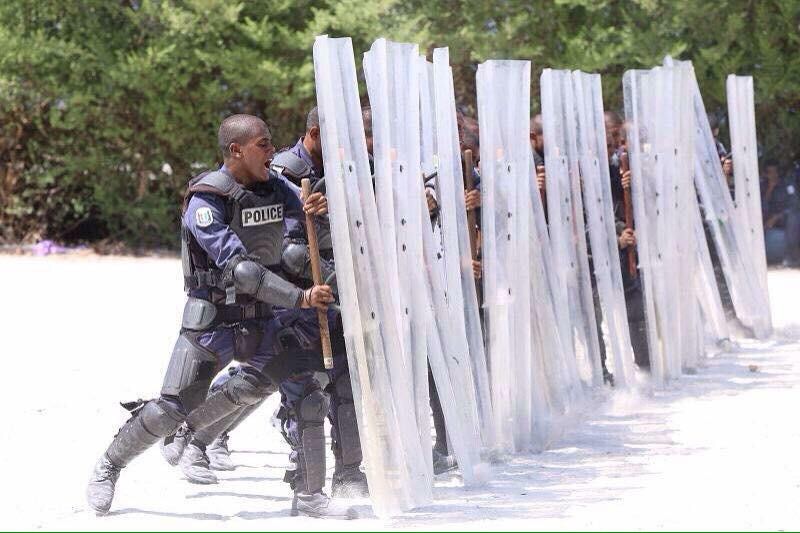 The Maldives Police Service has become one of the country’s least respected institutions. With a Police Commissioner of little education and even less knowledge of policing at the helm–appointed solely for his loyalty to Yameen–the force has become even more disliked than it was after the 7 February which a group of them facilitated. Since Hussein Waheed became Commissioner, the police have been deployed to do a lot of Yameen’s dirty work–framing political opponents, freeing criminal allies, and brutalising democracy activists. Members of theSpecial Operations police (SO)–supposedly an ‘elite’ group–have become such lackeys of the president that they are even attending to the president’s superstitions, carrying out ‘top secret’ midnight operations to cut down trees that were supposedly cursed against the government. The only people looking forward to the protests as much as, or even more, than the protesters themselves today are the police. From everything they have said and done since today’s protests were announced, they have been preparing for this day. 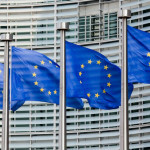 In the last week there have been almost daily press briefings all of which have included threats, intimidation and announcements of new measures to curb the right to freedom of assembly. 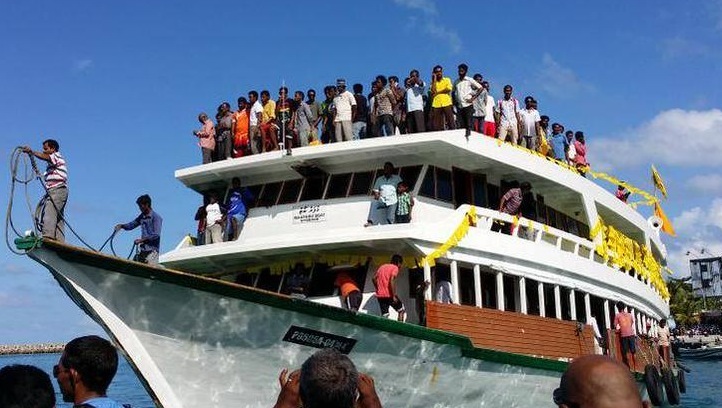 They have all but imposed visa requirements on people travelling to Male’ from other islands for the protests, demanding they have accommodation, food and other arrangements pre-booked before travelling. They have instigated stop and search operations targeted at boats en route to Male’; paraded troops with imitation guns, banned batons, and gas canisters to perform ‘training exercises’; and they have used ‘intelligence reports’ to arbitrarily arrest leading opposition activists. They have arbitrarily banned the media from certain areas; and banned protests ‘between two prayer times’ — as if there is any time that’s not between one of the five daily prayers. They have warned that caution must be exercised near mosques and schools – as if there is any area on the two square kilometres of Male’ that is not near a mosque or a school. They have said no sound systems can be used after 11:00p.m and that it must all end at sharp midnight. They have declared the protest, yet to begin, ‘not peaceful’. They have announced a strategy of zero tolerance. Any infringement of the growing list of illegally actions, at anytime during the protest, by anyone, and ‘we will crackdown’, they have said. Not everyone who supports democracy, wants to protest the unjust incarceration of Nasheed, and rise up against the current government, can join the march today. There are many valid reasons to hold people back–mothers who cannot leave their children; the unwell; people who believe they simply cannot risk their livelihoods; people who cannot be in Male’ for various reasons; and more. But, no matter how hard the government and the police would like to believe otherwise, fear is the last reason holding any democracy supporter back from the streets of Male’ today. Together, the people are stronger than any government, no matter how brutal. Comment: Election 2013 – where to, people? The current government seems to think we will all believe that its following a Singapore style model: i.e. economic prosperity comes first and stability is necessary to achieve this. However, it can hardly call itself a meritocracy, nor can it call itself devoid of corruption -other elements of the Singapore model - all this government's institutions are a mockery, which makes it more a mafia style model if anything, with gangster networks, cronies being the only ones that benefit and the use of force and fear to stay put. Its plain embarrassing how they use the very vocabulary of a government that is working for the people when it is actually doing the very opposite. The gangster style threats demonstrate that just about everything they say is a lie, with a heavy coating of religious nationalistic icing on it. People who buy this claptrap really need to think a bit more for themselves and look around at the misery and violence that surrounds this once peaceful country's capital in particular, before embracing this terribly lopsided "Singapore" model and trusting this gang of thieves to look after their interests. Thieves is what they are and lets call a spade a spade. Not only have they robbed this country of income, they have destroyed its very soul. What goes round comes round, pity we have to pay for it too, but such is life. We cannot stand by and let them walk all over us and future generations. Shame on them. And as for threatening the UN, EU etc.. they are just sealing their own isolation and ignorance. And even greater ignorance is the result of this isolationist cuckoo land way of operating. Most Maldivians don't want to live in this deluded way, believe it or not. Soon the few Maldivians they have used for their own ends will come to realize this, just as some have, too late.